All the previous preparation was done so that we could get to this IMPORTANT step. Quilting by hand is a lovely relaxing pastime (as long as you’re not in a hurry to finish!!). The first project I made, shown here above, was a 12 block sampler. It was machine pieced and totally hand quilted. You can see that some areas have faded from being on the back of the sofa, even though it was in a dark north facing window. Of course, it has also been washed a lot too because the cat and the dog like it so much! choose a good quality needle in a size 10. These needles are very short, which will assist you in making small even stitches. handy scissors to cut your thread. these come in many varieties, from plastic to metal or leather. Pick one that fits your middle finger on your sewing hand. If it is too big it slips off and that can be very annoying. 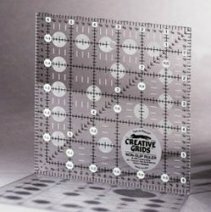 Hoop or frame -- I prefer a a 14” hoop or the 11x17 plastic Q-Snap frame so that I can take my projects with me when I travel. The Q-Snap frame comes apart and packs easily into a suitcase or tote bag. If you prefer, you can get a larger floor frame which is more stationary. I firmly believe that we should all be using COTTON thread on our cotton quilts. I have a wonderful friend who used polyester thread on one of her first creations, and after only 10 years it was in tatters – what a heartbreaker! Polyester is a very strong fiber and eventually with everyday use, cuts the cotton fibers in your quilt’s fabrics. 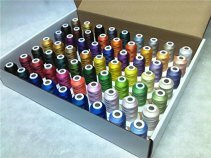 Cotton thread has a little give to it, therefore it is a perfect match to cotton fabric. Some people prefer to quilt without the hoop or frame and are very good at it. I find I need the frame in order to keep my thread tension even and looking good and I can take my projects with me when I travel. Always start quilting from the center of your project and work your way out to the edges. I usually recommend doing the minimum amount of quilting (recommended by the batting manufacturer), so that you don’t get bogged down and discouraged at the amount of time it is taking. You can always go back and add more later, but after saying that I also want to say that in my opinion, the more stitching, the better it looks! It is sometimes difficult to decide just how to start. Start really simple by sewing ¼” inside or outside your seam lines. This way you avoid the thick seams. I usually stitch inside the seam line on the fabrics I want to recede a bit, and outside on the ones that I want to emphasize. Ok, lets get started. Place your thimble (make sure it fits snug and does not fall off – that is so annoying) on your middle finger of the right hand if you are right handed, or the middle finger of your left hand if you are left handed. Thread your needle, then cut your thread (about 18” long) and put a big knot in the end you just cut. Thread is wound on the spool a certain way, and it helps keep tangles to a minimum if you knot the end closest to the spool. I find most books teach you how to make a lovely dainty little knot, but to be honest, I find that dainty little knots do not stay where they are supposed to, so I find it better to make a big honkin’ knot!! Insert your needle under the top fabric and into the batting, about 1” away from where you wish to begin, bringing the needle up where you wish to start. While lifting the fabric slightly, tug the thread so that the knot slips under the top fabric and into the batting. It is now hidden from view. Rocking your needle up and down, take one or two little stitches and pull the thread through, making sure the needle goes through to the bottom of your quilt. This is usually done by "feeling" the tip of the needle with the "under" hand. Continue stitching until you get to the end of your thread or the end of your design. Make a big knot in your thread near the surface of the quilt, then put your needle back down in the last hole that it came up, push the needle about 1” away and pull the knot down into the batting again. Continue these steps till the whole quilt is complete. Your finger underneath the quilt will get very sore from being pricked by that sharp little needle and that may limit the amount of time you spend on your project in the beginning. Eventually I get a callous on the under finger and that seems to work the best. 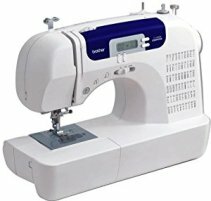 There is a huge amount of information required to get you machine quilting and I would highly recommend that you take a one day course to get started. I also know there are some of you out there who will go ahead anyway and give it a try – Bravo!! I would maybe suggest that you start with a practice muslin and batting sandwich. You will need a walking foot if you wish to "stitch in the ditch” or in straight lines. If you want to free motion quilt (stipple or meander) then you need the darning foot, and you need to know how to drop your feed dogs. Once your quilt is layered and pinned or spray basted, put on your walking foot and starting in the center, sew in the ditch, i.e. along the seam lines of your block. Or you could sew ¼” inside or outside the seam lines. You do not need to use the same method on all the blocks. This is your sampler (or learning) quilt, so take this opportunity to learn a variety of ways to machine quilt too. 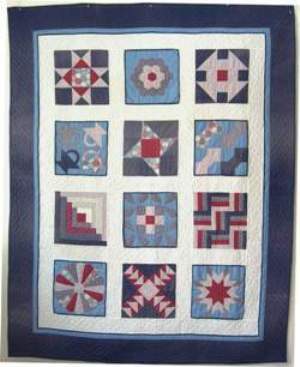 Many of you enjoy creating the quilt top, but don’t want to take the time required to complete your creation. 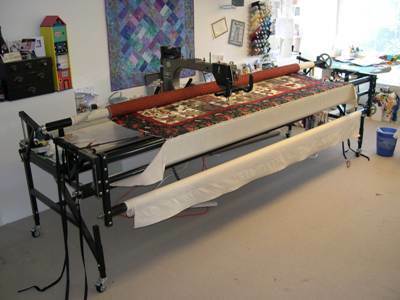 You may even be able to find a machine quilter who will take over a partially quilted project. I know several have come through my studio, and the owners were delighted to have their quilts finally finished and on their bed! utilize the help at hand and get those tops quilted. It is sometimes the only way to finish the projects. 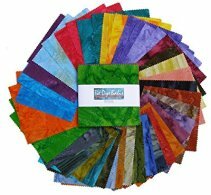 Ask other quilters for recommendations, or call people who advertise in local Quilt Guild newsletters. I would go to the their studio and take a look at some of the work they have done and discuss the options available. 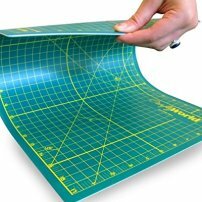 Every different machine quilter has different requirements regarding extra batting and backing so be sure to discuss those too. Finished with "Quilting?" Go to "Lesson 7 - Labeling"
Or Return to "Learn to Quilt"